HELENA — A bill entering the state House of Representatives on Monday would create a voluntary preschool program for 4-year-olds from lower income families. “This is not baby-sitting, this is not day care, this is with a qualified teacher who has a background in early childhood,” she said. Democratic Gov. 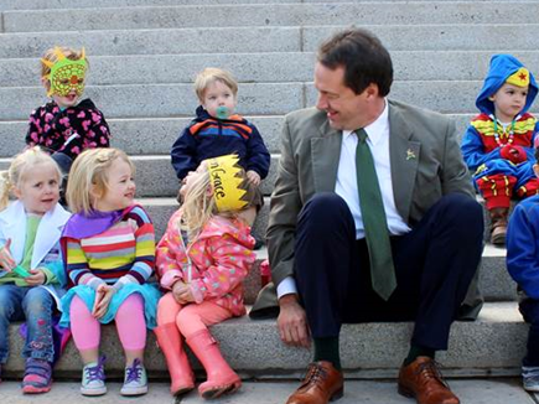 Steve Bullock says Montana is one of six states that does not provide state funding for pre-K education. Bullock unveiled a budget proposal in November that called for $12 million to launch a pre-kindergarten program for 4-year-olds, which is a scaled-down version of his proposed $37 million “Early Edge” program that the Legislature rejected in 2014. The funds would allow school districts, Head Start programs, and high-quality preschool providers to offer preschool for 4-year-old kids at or below 200 percent of the Federal Poverty Level. Bullock says he’s taking a page from Alabama’s First Class Pre-K program. That state’s Secretary of Early Childhood Education Jeana Ross said its program serves a quarter of their 4-year-olds, and gets more than $60 million a year in state funding. Sen. Fred Thomas, R-Stevensville, who serves as Senate majority leader, said he was doubtful early education would make the final cut.